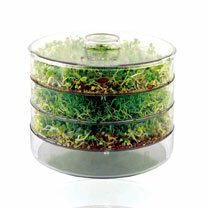 For the perfect kitchen cultivation of sprouts and snacks. 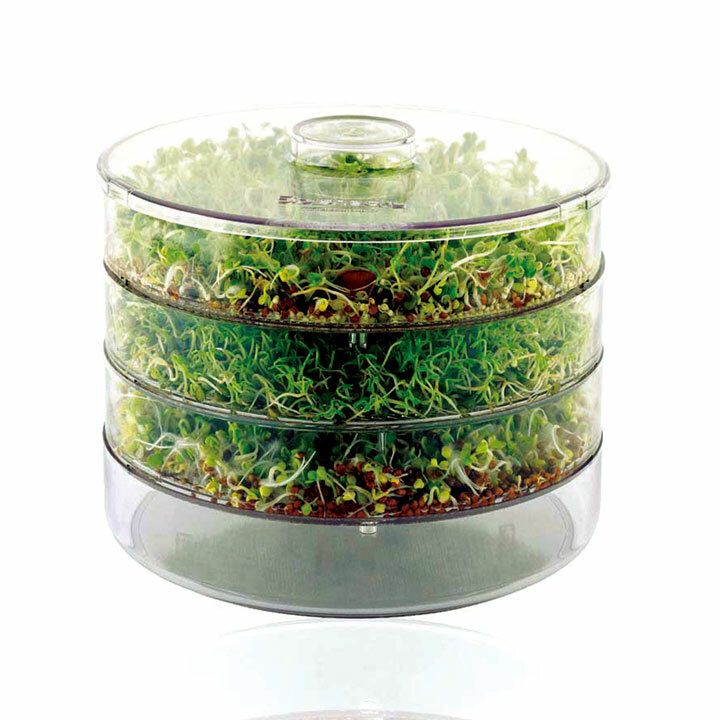 A simple and convenient sprouter that enables you to quickly grow fresh shoots and sprouts that provide both food and vitality, as well as tasting delicious! This large seed sprouter (20.5 x 15cm high) is made from environmentally friendly acrylic. It consists of three trays for the germination of seeds, a tray for collecting water used to irrigate your seeds and a lid. 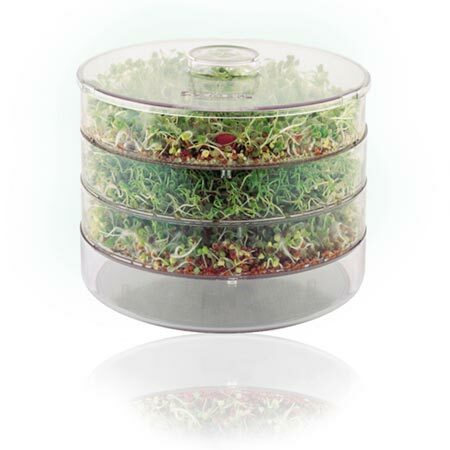 With the 3 tier sprouter, you will be able to 'sow' your sprouts at staggered intervals - starting every 2 or 3 days. This allows you to have a more consistent supply of sprouts. As one tray of sprouts is ready for harvesting, the others will contain seeds just starting to germinate. The 3 tiers are made from eco-friendly glass acrylic that gives optimum light and air circulation. Allows 3 varieties to be grown at one time. Clever drainage and lid. Dishwasher safe.